"Some people just don't get bossa nova: where there is subtlety, all they hear is easy listening. Their loss, I'm afraid. The Brazilian singer-guitarist Vinicius Cantuaria is one of the harder-edged expats on the New York scene." 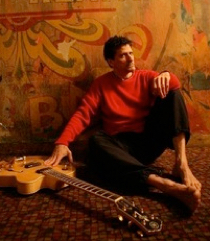 In New York, he has released five internationally recognized studio albums "Sol Na Cara", "Ê","ÊVinicius", "Horse & fish", "" and signed an artist contract with Naïve in 2008 which released his album "Cymbals", recorded with top New York musicians, Brad Mehldau, Michael Leonhardt, Dave Binney, and Erik Frielander... Keeping his New York musicians for «ÊSamba cariocaÊ» (2010), Vinicius Cantuaria successfully returned to his Brazilian roots which once again proved to be numerous. Indeed, in addition to his usual New York team (Brad Mehldau, Bill Frisell), Vinicius was this time surrounded by an impressive line-up of Brazilian musicians from all trends and different backgrounds : Arto Lindsay, who produced the album, veterans like Joao Donato or Marcos Valle, and younger musicians, like Dadi or Sidinho. Vinicius, who owns his studio in New York and frequently travels to Brazil, works every day and progresses in small steps, hence the impression of a simple, melodic, and obvious music, yet so sophisticated. 2011 saw the release of the brilliant and multi-rewarded album «ÊLagrimas MexicanasÊ», a duet with Bill Frisell. Skillfully crafted over more than five years by two long-time collaborators, this magnificent album clearly revealed itself as a marvel of elegance, musicality, and purity, recommended to the widest audience, which was quickly captured. With «ÊIndio De ApartamentoÊ» (Indian in the Apartment - 2012), his newest album, he confirms this trend and goes even further in brevity and purity, while maintaining an exemplary singularity towards Bossa Nova world. Dedicated to the memory of his mother, who died last year, this solumn and serious album, continues the trend started with "Samba Carioca", blending New York/cosmopolitain musicians (Bill Frisell, Ryuichi Sakamoto) with Brazilian ones (Dadi, Limihna) while subjecting them to record increasingly varied and different compositions. Certainly more compact, dense, tighter and pure, sometimes minimalist like in the wonderful "Purus" where Vinicius performs at the same time vocals, guitar, keyboard and loops, this album is almost open to variety with the presence of Norah Jones on piano, the very beautiful "Pe Na Estrada" a duet with Bill Frisell, but especially in "This Time", a brilliant duet with Jesse Harris (Once Blue, Norah Jones....), perfect for radios, and which illuminates this album with the sparkle of diamonds. According to Vinicius, Indio de Apartamento "came about from the mix of the raw sound from guitars, acoustic piano, percussion and voice with the electronic sound from computers. These two sonoric mixes together with the harmonies, melodies and lyrics created a unique-Brazilian-universal atmosphere". Again, the result is a magnificent album, of incredible subtlety and full of contrasts, of great unity and remarkable diversity, with a pure and completed classicism. Almost a classic, in a modern world.